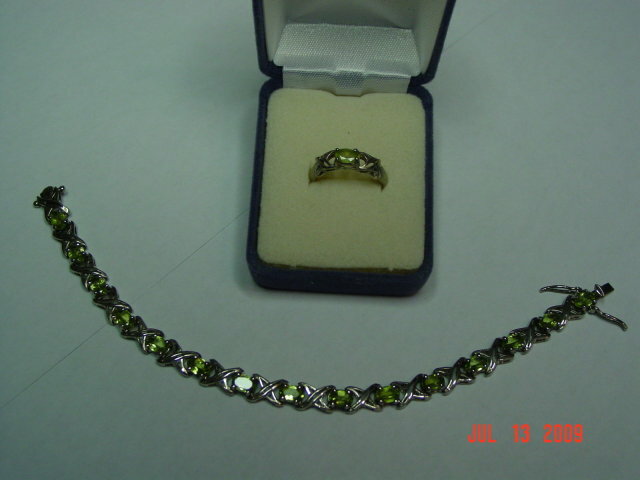 Vintage sterling and peridot tennis bracelet and matching size 6-1/2 ring signed HAN 925 THAI. 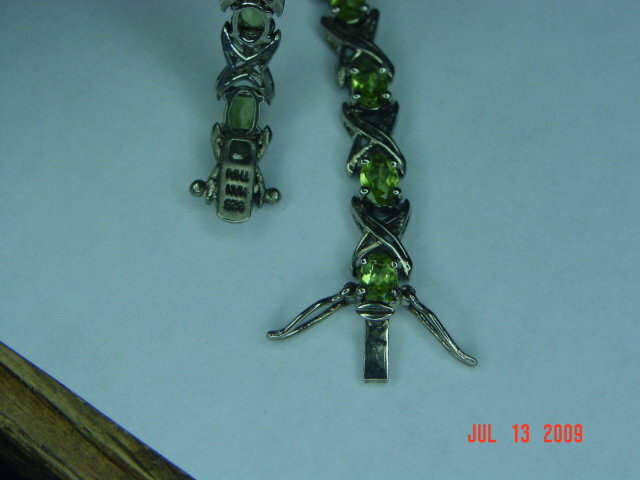 The bracelet has sterling "X's" and peridot stones representing hugs and kisses. The bridge under the stone on the ring needs to be reinforced. 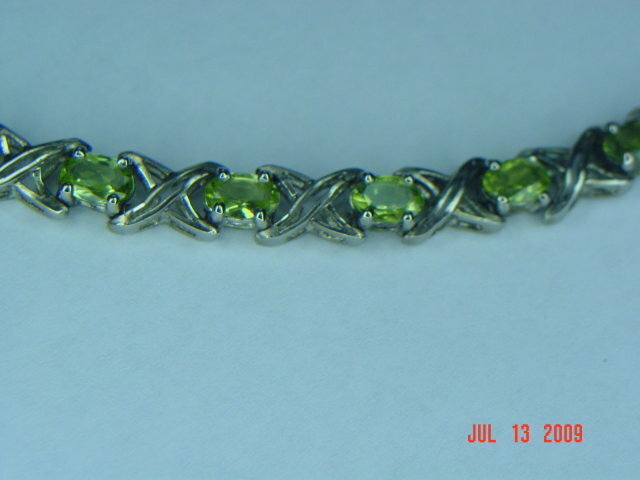 The bracelet is 7-1/4" long with a box clasp and safety arms, and is in excellent condition. 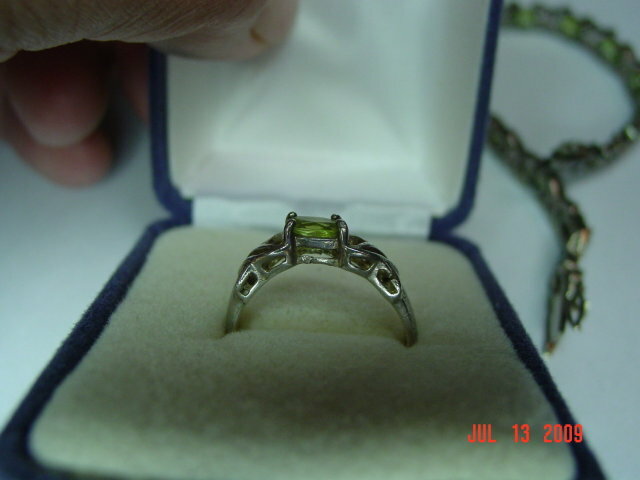 Items Similar To "HAN Thai Sterling Peridot Bracelet & Ring Set"